This is an update to the Duncan Intelligence article I wrote in December of 2011 about an aging aircraft issue in regards to the Aux Cabin Heat in 20 & 30 Series Learjets not equipped with a Meggitt (formerly known as Keith Products) freon system. This topic was discussed during the NBAA Learjet Technical Committee meeting in February 2012, resulting in Learjet subsequently releasing AFM Temp Rev 2013-01. Without a command from the crew, anytime the main ship batteries were turned on, all four of the heating coils in the Aux Cabin Heat system would power on and heat. 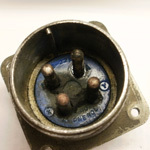 Upon further investigation, it was discovered that both sides of the P/J-190 connector (ref 21-42-00 in your applicable W/D), that connects the main heating coil power going into the Aux Cabin Heat Relay box, was internally shorted. Both the P- and the J- side were shorted. As a result, anytime the battery charging buss was powered, which is when either Main Ship Battery or Generator is on-line, there was power to the heating coils of the Aux Cabin Heat system. If you check the W/D in regards to the power wires that normally go to the power relays (K17 and K18), you will notice the only protection is a single 150A current limiter (FL3). Since the “P” side is shorted, the heating coils will heat even without the Aux Cabin Heat Relay Panel (E33) installed in the aircraft. 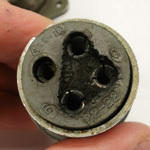 With this failure, ALL of the safety features on the control side are ineffective in disabling the heating coils. 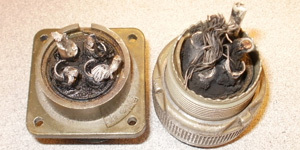 The only way to remove power from the heating coils is to turn OFF both generators and both main ship batteries. This leaves the Emergency Power Supply (EPS) providing the only electrical power for the aircraft. As per the 35 AFM, aircraft equipped with a single EPS will have electrical power available for approximately 30 minutes in this configuration.